Definition: Clinical syndrome characterized by signs and symptoms of raised blood cortisol levels. Pituitary Cushing's is Cushing's disease. ACTH dependence simply means if raised ACTH is the cause of raised cortisol. Feedback loop, more correctly negative feedback loop, implies if cortisol level influences ACTH level inversely. 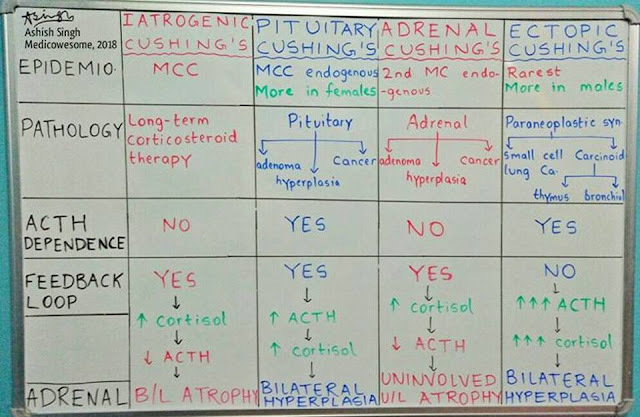 Ectopic Cushing's is caused my malignant cells that continuously proliferate and hence, continuously make ACTH, regardless of cortisol levels. 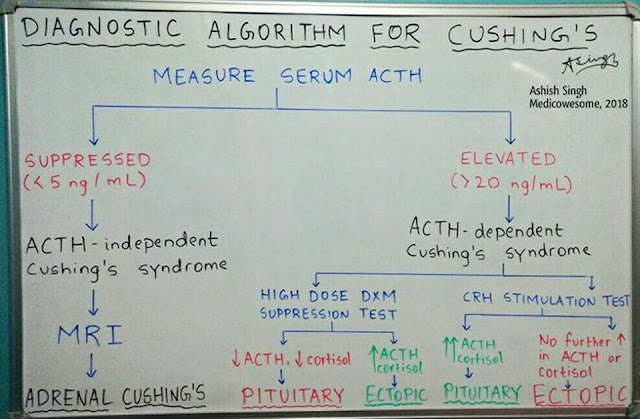 Therapeutic administration of ACTH hormone for long periods can cause ACTH-dependent Cushing's. However, they are exceedingly rare (and hence, omitted from the whiteboard for simplicity). 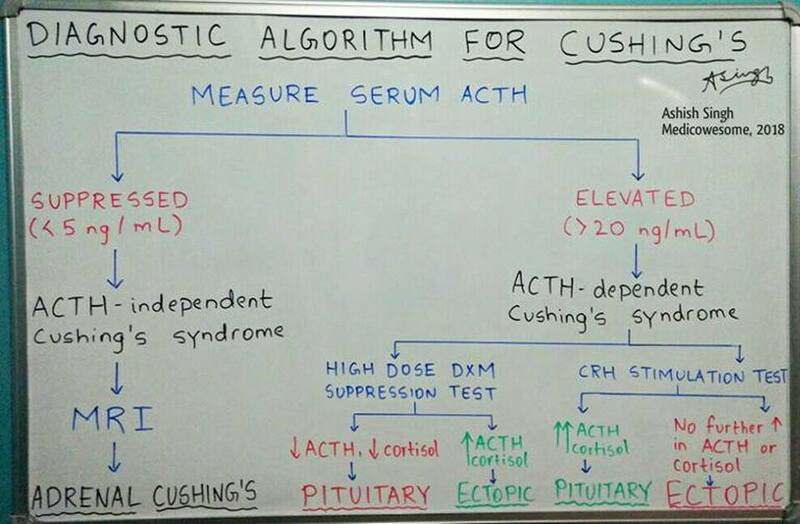 High dose DXM or CRH don't bother ACTH or cortisol levels in Ectopic Cushing's as they're out of the feedback loop. Adrenal: Surgical resection with post-op prednisolone OR medically treat with Metyrapone or Aminoglutethimide. Ectopic: Chemotherapy and Radiotherapy for small cell lung cancer OR surgical resection for carcinoids. This is beyond helpful! Thanks!